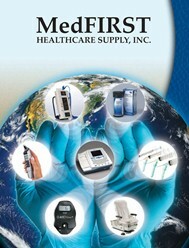 Receive 2 FREE boxes of Instrument Pouches when you order a Ritter M-9 Autoclave today!! Choose from 2 different pouch sizes - 3-1/2” x 9” or 5-1/4” x 10”. Offer valid while supplies last. Today, more than ever, you need products that are reliable and simple to use. 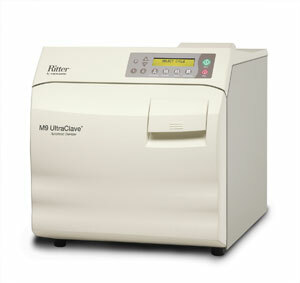 The M9 autoclave couldn't be easier and is time tested for reliability. You load it...set it...and forget it. Select your cycle and the time is set for you. Press "Start" and the M9 autoclave fills with the correct amount of water. Once the sterilization process is complete, the door opens automatically and quietly to dissipate the steam to give you fast drying time for your instruments. It's real convenience! The Ritter M9 UltraClave sterilizer has easy front access for filling and draining and has controls that are easy to understand. Programmable controls allow for creation of different cycle parameters for special sterilization needs. Programmable buttons allow you to change the following: Time (3 to 90 minutes), Temperature (230 to 275° F), Dry Time (0 to 60 minutes), Vent (slow or fast) and two program buttons. The #1 and #2 buttons allow you to store the change if desired. Time is precious, so why waste it? Break free from your sterilizer with the reliable and efficient Ritter M9 UltraClave Automatic Sterilizer and spend your time on more important tasks. Make the industry-leading sterilizer your choice for sterilization and have peace of mind.